I don't play many Far Cry games. Or, perhaps it's just as accurate to say that I play a lot of them. I've played all the Assassin's Creed and Watch Dogs titles, and Far Cry is really the same thing, just presented from a first person perspective. 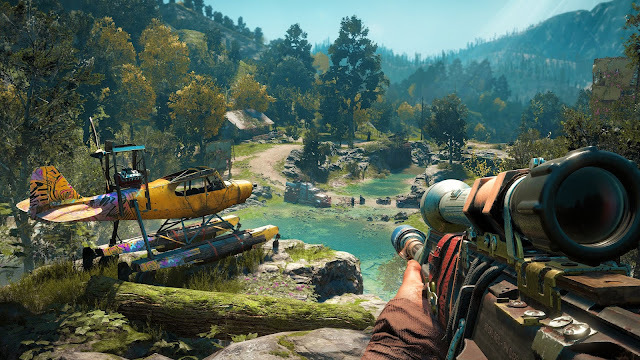 Ubisoft has been very careful to create an open world structure that can be ported and applied to just about any of its properties, so, while the last Far Cry I've actually played through was Far Cry 3, when I had a chance to sit down and try Far Cry New Dawn, I was struck with just how familiar it felt. In the hour or so hand's on that I got with the game, I wonder if I've already experienced the game's best moments. Because it does have a cracking intro. Firstly, I had to track down some plans that a rather irritating character - the head of wikibeania - had stolen from him. I almost didn't, because he was that irritating, but after following the breadcrumbs, I got to subsequently chase a dude wearing nothing but his undies across the apocalyptic landscape, punching the heck out of him until he surrendered and told me where to go next to retrieve that file. It was funny. I laughed. Then I got to go rescue a dog, making my first two proper missions in Far Cry New Dawn appeal to both my sense of humour, and sense of justice. If the rest of the game can keep up that balance of humour, violence, and more sinister moments, than the team at Ubisoft have done themselves proud. I also had enough time to capture one outpost and complete one side quest. The missions flow quite easily from one to another, and there are always little distractions popping up along the way. Ubisoft has refined its open world loops to the maximum "just one more icon" effect, though as a guy that both likes to stay focused, and doesn't like to leave things undone, I was already struggling with the icon stream within that first hour of play. I find open world games in general difficult to push through, though. Too many things of little consequence to the story to do, too much time spend all-but forcing me to do them. Ubisoft's formula is perhaps the most guilty of this of all the modern AAA-publishers pushing out open worlds. Still, the Ubisoft open world is a popular, commercially successful formula for a reason. Putting aside my issues with the very genre, people can rest assured going into New Dawn that that's exactly what they're getting. I was also given the opportunity to have a short interview with the narrative director of Far Cry New Dawn, James Nadiger. You can listen to that interview in full on this week's podcast, which will be up in a day or two. It was interesting to note just how much research seems to have gone into the post-apocalyptic setting. Nadiger was telling me how the team spoke to experts who have been actively modelling what might happen subsequent to a nuclear apocalypse, and how humans might respond in the aftermath (what a job that must be). Of course, I can't verify how deep that research went, how much of an impact it has on the story, and whether the experts Nadiger and his team spoke to approve of the end result. It's a little difficult to see at first, too. From the opening moments of the game, the principle enemy, the Highwaymen, are very much a generic "you've got to kill them before they kill you" mob. They show up as you hoon around the landscape, and are instantly hostile on contact. They've gone and captured dogs for butchering, and while killing those people is pure satisfaction, there's not much of a sense of culture or purpose behind the Highwaymen, other than to behave as a somehow nastier mob than what the father and son in Cormac McCarthy's The Road came across. 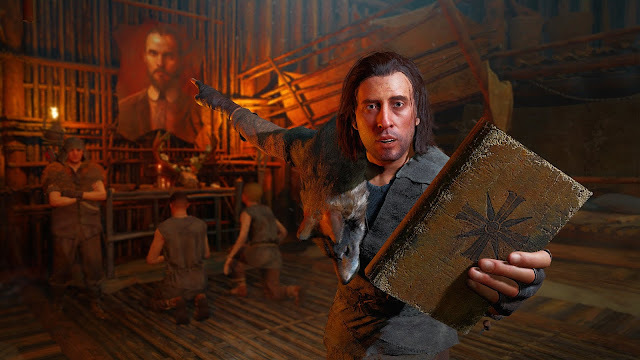 However, Far Cry has always been a series that has been known for providing its villains with a rationale. This was to the game's detriment in Far Cry 5 when the villains were rednecks and many people wanted the caricature in that case. 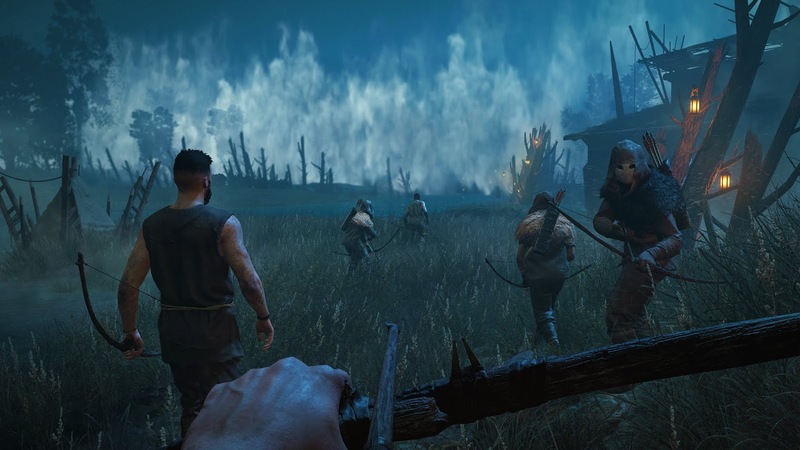 This time around, there shouldn't be the same controversy, and hopefully the team develop out the character of the Highwaymen so that players can see them as survivors, doing what they can to adapt to the new world. According to Nadiger and his research, apocalyptic scenarios do suggest that these kinds of groups would exist, as those who lack the capability to re-settle the land for themselves adopt banditry as their only option for survival. Furthermore, banditry only works if people are terrified of the bandits, though away from the performative side (and the victims), these people might be every bit as terrified and desperate as those they attack. There's plenty of narrative room in there; just how effective New Dawn is at providing adequate motivation to the Highwaymen remains to be seen. One thing I did note about Far Cry New Dawn is how comfortably it seems to sit in the American western genre. You've got a story of frontier people that are fundamentally good, honest, and hardworking champions for the American dream, scratching out a home in a hostile wilderness, and banditry and lawlessness as the principle enemy. The initial set up, at least, could be pulled straight from a Sergio Leone film. 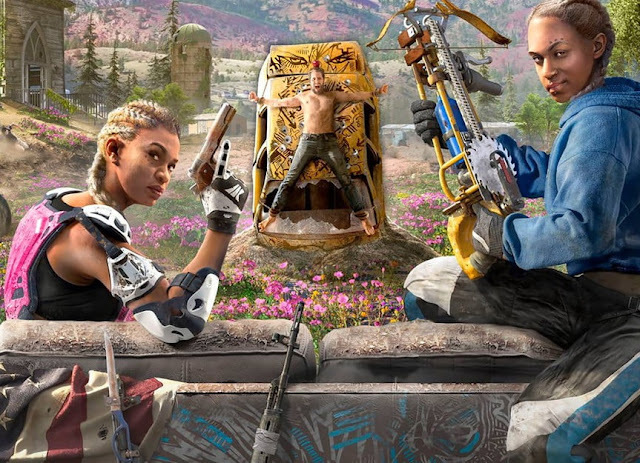 It certainly comes across much more in line with that than the harsher apocalyptic scenarios like Mad Max or Fallout, and perhaps that's why Far Cry New Dawn appeals to me a little more. Also unlike the likes of Fallout, the environments in Far Cry 5 are lush, colourful and gorgeous, and Ubisoft has done a great job in rendering a world that has been re-taken by the wilderness. I'm not usually one to give credit to Ubisoft's penchant for unending side quests for the sake of giving people busywork, but in New Dawn you'll even be able to wander around and compare photos of the world as it was seen in Far Cry 5, before the nuclear armageddon, to what it looks like now. That is one busywork side-task I'll pay for being a clever way of bringing the old and new together. Of course, Far Cry New Dawn is going to be massive, and I've barely made a mark on the surface. You should already know what you're going to get going in; aside from some multiplayer stuff that I had no interest in trying out (though hopefully it's not as essential as Ubisoft is currently implying), the game is a stock-standard application of the Ubisoft open world ethos. But it has a genuine chance to be something special. Give me a story that properly debates the behaviour of the Highwaymen, and isn't too indulgent on the romanticism for the wild west, and I'm sold on this one. And if not, at least I got to run around an apocalyptic environment, chasing a dude in his undies . If nothing else, Ubisoft gave me that experience for the very first time.